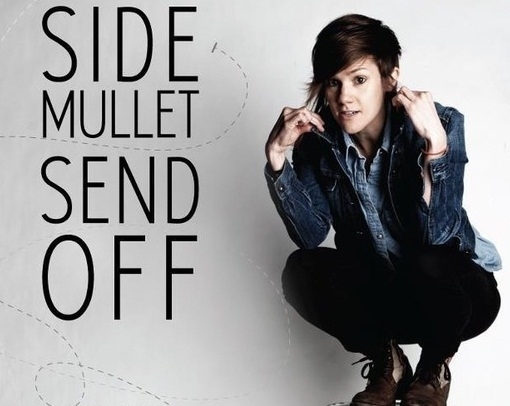 - More details have been revealed about Standup Mixtape, this time from another exit interview with Cameron Esposito with Jason A. Heidemann: "We’re having these shows [this summer] at a recording studio that’s here in Logan Square. They are these 25-people-only invite shows. We’re taking the audio from there and we’re going to be doing limited cassette pressings that will be available at Reckless Records. The idea is to make it the opposite of a podcast. It’s something tangible and it’s something that happened in front of people." The opposite of a podcast. - Activities you could take part in this weekend that are not NATO-related also include Esposito&apos;s Side Mullet Send Off. You could also take advantage of the many half-price tickets that are usually available; just remember, allow time for travel. - Delocated star John Glaser spoke with Mark Bazer on The Interview Show. - Million Dollar Quartet came and played and talked for Eight Forty-Eight Friday morning and it was rousing. There are videos.